a heat press is like large a large iron but it is used to apply a design to a surface with heat and pressure. Heat presses can be expensive and large and bulky. They are way more effective in applying iron-on than a regular iron, but they take up a lot of space. I used a heat press for years before the EasyPress 2 came out and while I really liked it, it definitely had some drawbacks. It took up a LOT of the counter space in my craft room and would have been difficult to store if I didn’t have a dedicated place for it. It does get hotter than the EasyPress but it also gets so hot that there is a burn risk, which makes me nervous to use it with my kids in the room. I have burned through more than one shirt even using as directed. Cricut Beginner? No worries! Start here: A Beginner’s Guide to Crafting With Cricut to learn some basics. 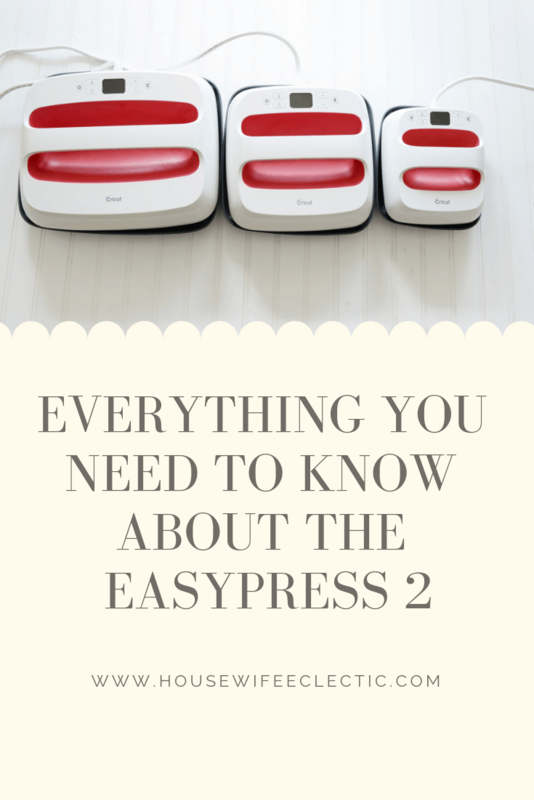 What is the EasyPress 2? 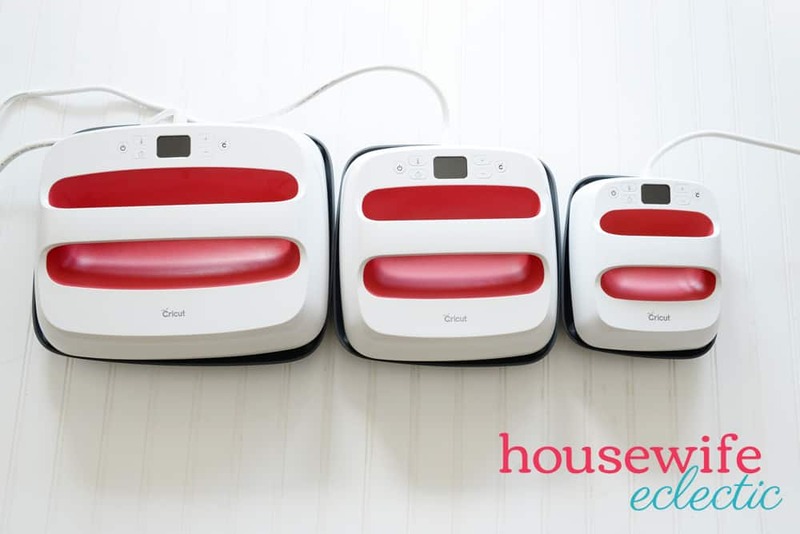 The EasyPress is Cricut’s answer to the downsides of a regular heat press. 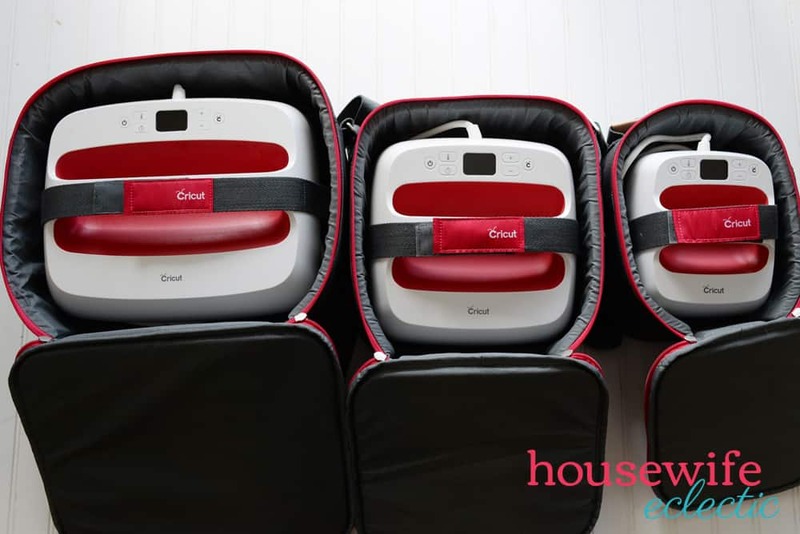 It has a large even surface which you use to get even pressure on your design, but it is much smaller and much more portable and lightweight than a typical heat press. What are the features of the EasyPress 2? The EasyPress 2 is incredibly user-friendly, with just a few buttons that are easy to decipher. You have the Set Temperature button and the Set time buttons with the plus and minus buttons as well as a Go button. That’s it! Super easy to use! The EasyPress 2 heats up to 400 degrees in under 3 minutes, so you can get the right temperature for the material you are using and quickly. It has a more advanced ceramic coated heating plate that ensures even heating and can be cleaned with a commercial iron cleaner. The EasyPress 2 has incredibly accurate heating just a +/- 5 degrees variance. This is NOT something you would get from a typical iron. It shuts itself off after 10 minutes. It remembers the last settings you used. This is an AMAZING feature! I typically make a lot of the same items over and over again and I love not having to reset my machine each time. It is safer than a typical heat press. I love creating with my tween and she uses the EasyPress with ease while there is no way I would let her touch my Heat Press yet. What sizes does the EasyPress 2 Come in? One thing I love about the EasyPress 2 is that it comes in 3 different sizes so you can find one that is right for you, your space and your projects. 6×7 EasyPress 2 – This is the smallest size, it is perfect for onesies, bibs, and toddler shirts. 9×9 EasyPress 2 – This is a perfect middle ground. Great for t-shirts and totes! 12×10 EasyPress 2– This is the largest press, great for large apparel like sweatshirts and home decor! What Settings Do I Need To Set My EasyPress 2 to? 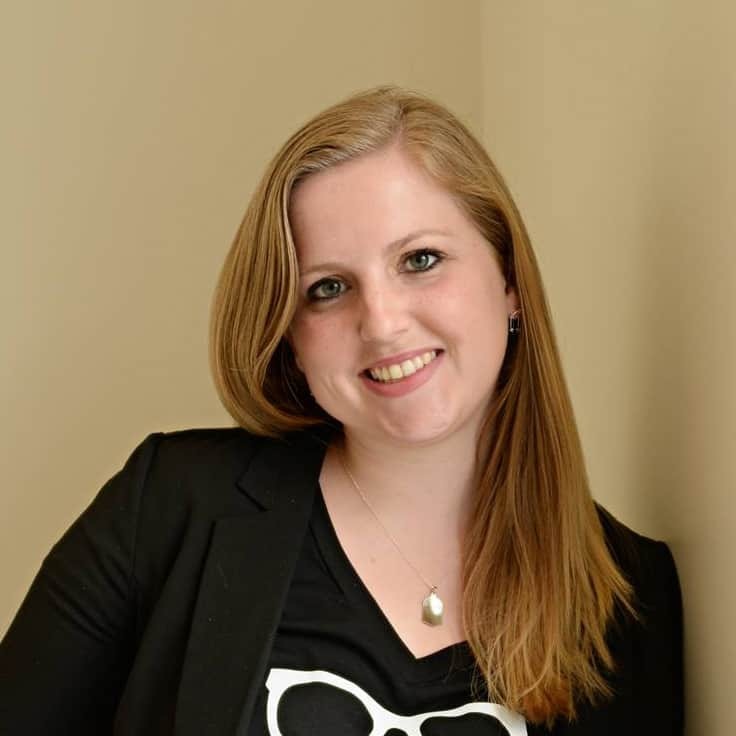 Cricut has created some amazing guides to help you know just what setting to you. You can use their quick reference sheet below, or their awesome interactive tool on their website here. What Accessories Do I Need For My EasyPress 2? 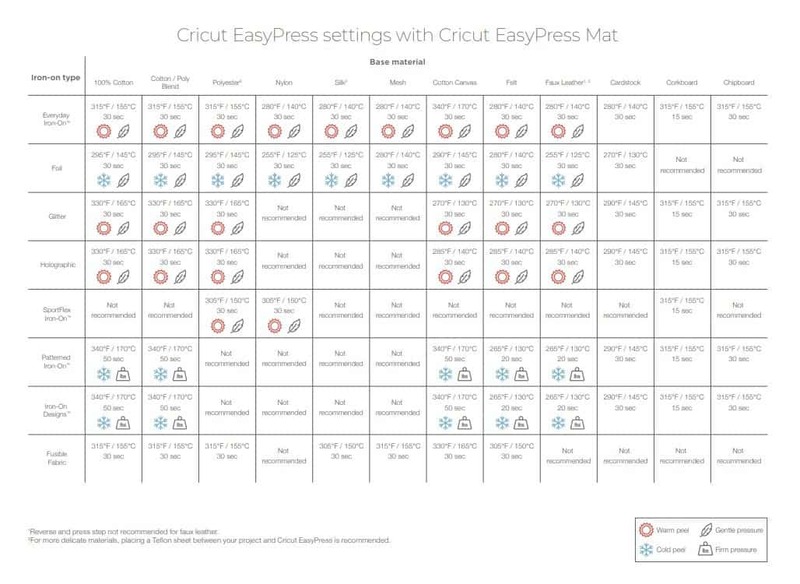 I absolutely love the EasyPress Mat. It helps eliminate moisture and makes sure that all of the heat from the press stays focused on your design instead of the surface beneath. It is also the perfect way to protect your work surface. The three different sizes allows you to make sure you are easy a mat LARGER than your EasyPress size. The tote is the easiest and most effective way to transport your EasyPress 2. It comes in three sizes to fit your specific machine. The tote has the room to take your EasyPress 2, your safety base, EasyPress mat and other small accessories with you all in the same case. It is made of heavy duty heat resistant material and features pockets to hold other accessories. 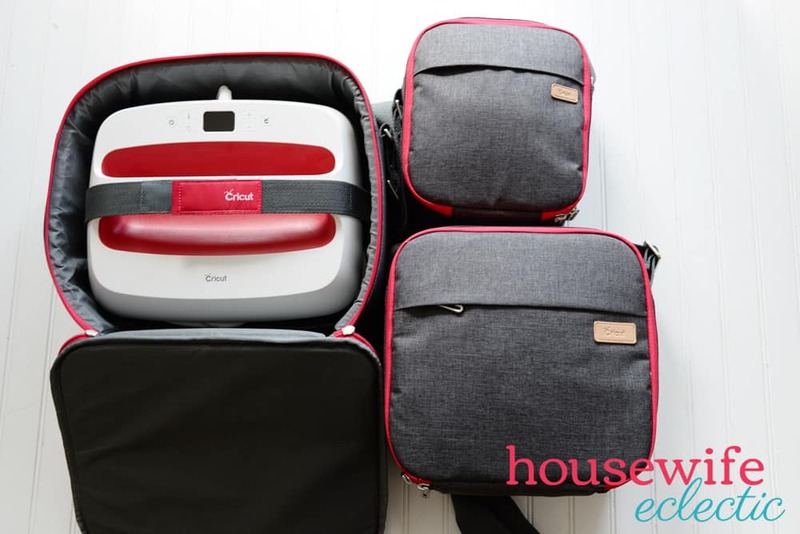 It has a strong velcro strap to keep the machine in place on the go, which I LOVE. I have never had my machine shift in all the times I have taken it places with me. What size EasyPress works for you?